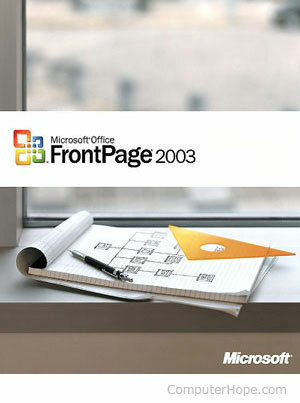 Microsoft FrontPage was a WYSIWYG HTML editor, first developed by Vermeer Technologies, Incorporated in 1995 and purchased by Microsoft in 1996. It helps users create websites and web pages. In 2006, Microsoft announced that it would discontinue Microsoft FrontPage in December 2006 and that it would be replaced with Microsoft Expression Web. Microsoft FrontPage questions and answers. Processor: Intel Pentium 233 MHz. Drives: 180 MB disk space. Video: VGA or higher resolution. Controls: 100% compatible Microsoft keyboard and mouse. Operating System: Windows 2000 with SP3, Windows XP, or later. Other: The upgrade version requires an earlier version of FrontPage.